Diabetic retinopathy is a complication of diabetes. 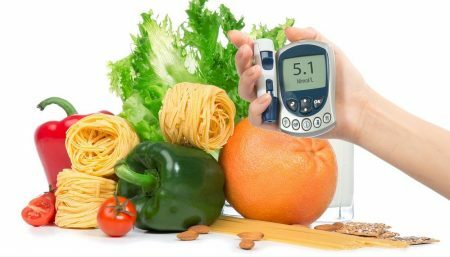 Diabetes is a chronic disease that can damage and weaken blood vessels, including those in the retina In the back of your eye, the retina records images of objects and sends information about the images to your brain for interpretation. In diabetic retinopathy, the weakened blood vessels may begin to leak blood or fluid vessels and develop tiny, fragile branches and fragile branches and scar tissue that can blur your vision or distort the information that the retina sends to your brain. People who suffer from diabetic retinopathy (DR) report significant restrictions resulting from their condition. Retinopathy usually affects both eyes (although unequally) at the same time. If it is not treated, retinopathy can lead to blindness. The longer you have diabetes, the more likely you are to eventually develop retinopathy. Many people who have had diabetes for more than 15 years have some degree of retinopathy. 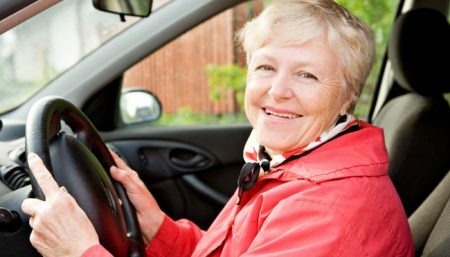 Vision impairment caused by the disease often leads to dependency in activities of daily living, social isolation, and reduced physical activity. 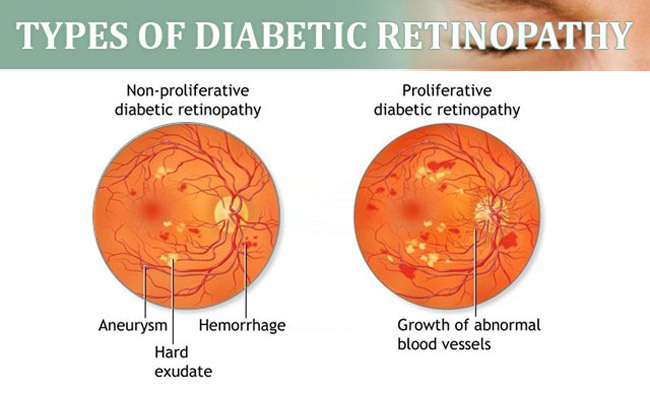 There are three stages of diabetic retinopathy, each characterized by damaged blood vessels and abnormal blood vessel growth: non-proliferative, macular edema, and proliferative. Non-proliferative – also known as background retinopathy, non-proliferative diabetic retinopathy is characterized by damaged blood vessels and retinal swelling. Macular edema – characterized by fluid collection in the macula (a tiny area on the retina). Proliferative – characterized by new blood vessel growth on the retina. These blood vessels break and bleed into the vitreous (the clear substance that fills the center portion of the eye), causing cloudiness and impaired vision. In addition, the new blood vessels can cause scar tissue development, which, in turn, can lead to retinal detachment and blindness. The longer someone has diabetes, the more likely he or she will get diabetic retinopathy. Nearly half of all people with diabetes will develop some degree of diabetic retinopathy during their lifetime.During pregnancy, diabetic retinopathy may also be a problem for women with diabetes. It is recommended that all pregnant women with diabetes have dilated eye examinations each trimester to protect their vision. Diabetic retinopathy may not cause obvious symptoms in the early stages, or you may notice a gradual blurring of your vision.As the disease progresses, the abnormal blood vessels can begin to bleed or leak fluid.This leaking can cause your sight to become hazy, you may see spots in front of your eyes, or you may suddenly lose your vision completely. The only way to detect retinopathy is through an examination by an ophthalmologist. Make sure your ophthalmologist knows you have diabetes.He or she will regularly monitor your eyes for changes that are characteristic of retinopathy. 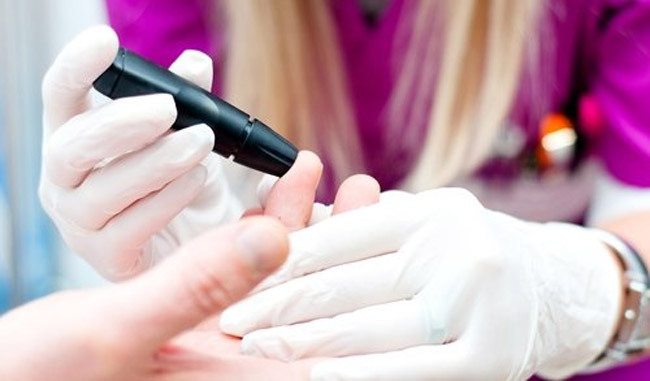 If you have diabetes, have an eye examination every year (or more often if your doctor recommends it ) to ensure that any problem can be treated early, before your vision is impaired. 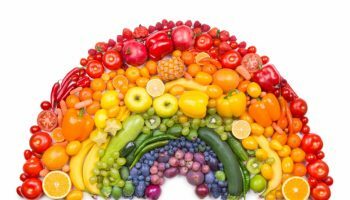 Fasting blood glucose of 126 mg/dL or greater is associated with an increased risk of diabetes complications affecting the eyes, nerves, and kidneys. 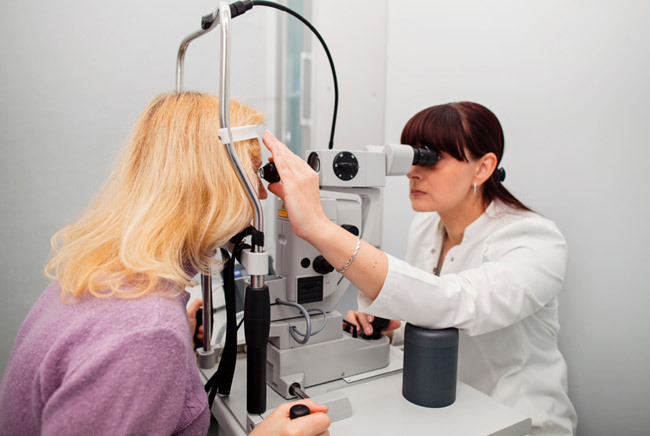 Your doctor will examine your retina with an ophthalmoscope to look for any abnormal blood vessels of bleeding.To find if any blood vessels are leaking, he/she may take photographs of the retina and the blood vessels of the retina. Before taking the photographs, the doctor injects a special dye into a vein in your arm. The dye travels through your bloodstream to your eyes, where it highlights the blood vessels and can reveal if any are leaking. If you are diagnosed with diabetic retinopathy, you will need to have regular eye examinations at least once a year to monitor the health of your eyes. Maintaining strict control of the level of glucose in your blood may help slow the progress of the disease . In some cases, surgery is recommended. Ask your doctor that you can expect from such surgery, including the recovery time, level of pain, or effects on your vision. An ophthalmologist can seal leaking blood vessels in the retina using small bursts of high-energy light (laser beams).If the retinopathy is caused by abnormal growth of blood vessels, the laser bursts are scattered across the surface of the retina to seal off the abnormal blood vessels and prevent damage to the eye.This procedure, which is painless, may be done in the doctor’s office, in an outpatient facility, or in a hospital. If the clear, jellylike substance that fills the eye( called the vitreous gel) is clouded by blood from leaking vessels, laser surgery cannot be used to treat the retinopathy. Instead, cryotherapy (freezing) may be used to freeze the retina and shrink the abnormal blood vessels. This procedure is performed using local anesthesia and may be done in the doctor’s office, in an outpatient facility, or in the hospital. You may experience some discomfort or mild pain. For diabetic retinopathy that is at an advanced stage, microsurgery can remove the blood -filled vitreous gel and replace it with a clear solution. This procedure, called vitrectomy, can reverse the loss of vision caused by the accumulation of blood in the vitreous gel. Vitrectomy is performed in an operation room using local or general anesthesia. The procedure may take several hours and can cause discomfort. The recovery time is extremely variable and depends on how severe the problem was before the surgery. If scar tissue pulls on the retina and detaches it from the back of the eye, blindness can result. Your ophthalmologist may recommend surgery to reattach the retina. This procedure is performed in an operating room using local or general anesthesia. The procedure may take several hours and can cause discomfort. 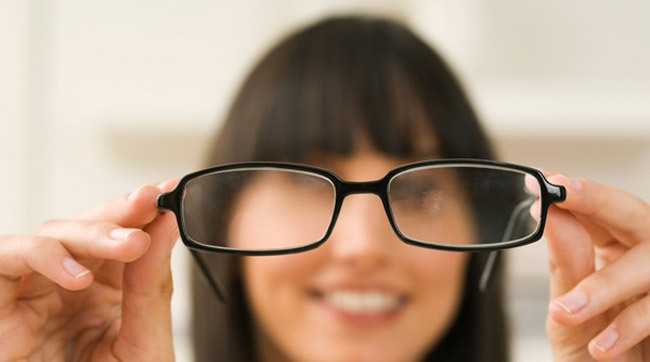 This surgery may be combined with vitrectomy or laser surgery. Early detection and treatment of retinopathy can often prevent serious vision problems. If you have diabetes, the best way to prevent retinopathy may be to carefully control the level of glucose in your blood. Test your blood glucose level regularly with diabetic test strips and your blood glucose meter, take meditation if necessary, rigorously follow your diet plan, and exercise regularly. You should also make sure your blood pressure is under control. People who have both diabetes and high blood pressure have more problems with their eyes.